Will it be updated to Volte? 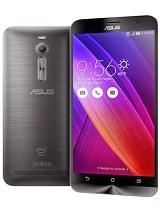 i want to buy an Asus Zenfone max 16 GB. Pls any one tell me is that Jio sim supported on this mobile. Can i make a 4 G voice call. 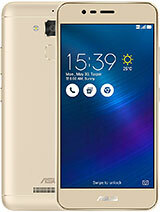 hi friends i m priya i had taken a asus zenfone max zc550kl .This mobile is really so stylish ,and clearity is good .And no need to charge daily because battery is nice after too much using then only battery stay charge for 3-4 days after charging.For photos and video songs or movies purpose asus zenfone max is wonderful . 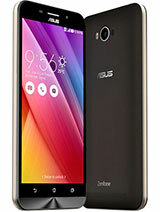 i am from Greece, i have Asus Zenfone 5 since 3 years ago and it is the only phone i used till now without a problem. 2 years ago i bought for my son the Zenfone 2 (2gb/16gb) and he is using it till now without a problem. 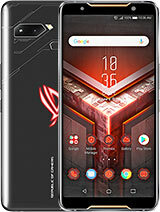 So i think that you have a wrong point of view about Asus phones. 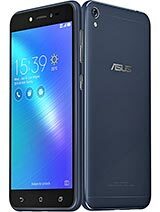 ASUS ZEN FONE: MUST READ BEFORE BUYING: On January 5, 2016, I opted to buy an unlocked Zenfone 2 in lieu of a Samsung Galaxy note 5 because for the past 12 years, I was extremely satisfied with all of the Asus computers brand that my wife and I owned and decided to give their phone a try. During the first four month of phone use, I noticed that the GPS signal would suddenly drop and could not be turned back on unless I rebooted the phone. On the sixth month of use, the phone became completely unusable. The screen would either respond erratically or would not respond at all. I called Asus and they gave me an RMA to send the phone to their warehouse for repair. I was advised that the turnaround time would be two weeks. On August 22, I sent the phone via USPS and was given a tracking number. Because I was advised by Asus that my repaired phone would be returned within two weeks, I did not bother to do an online check on the repair status. On September 5, while I was out of town, I went on the Asus site and was very surprised to see that the repair status notation showing "phone not received". I called Asus and told them what had transpired within the previous two weeks and after waiting for about 45 minutes, I was told that they did not receive the phone and the case would be escalated and I would be called within 24 to 48 hours. The next 48 hours came and went and no call was received from Asus. Upon returning home in the next few days, I called Asus and gave them my tracking number and told them that my phone was delivered to their warehouse on August 26, 4 days after it was mailed. Once more, I remained on the phone for another 45 minutes after which I was told that the warehouse had made a mistake on processing the RMA and this is why they did not locate the phone. Once more, I was promised a call back within 24 to 48 hours for an update. Once more, the 48 hour call never came. 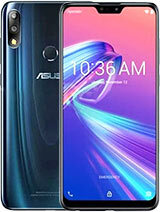 On September 10, upon checking the repair status on the Asus web site, the notation shown was: "phone received on September 9, 2016". I thought, at least, it is acknowledged on their site that the phone is in their hands. On September 14, I received the phone via FedEx and took it to my phone service provider to have the sim card programmed on it. I was told that the phone I just received does not have the same serial number as the previous one (that was sent for repair) and could not be programmed because it is locked. Once again, I called Asus and explained the situation to them. I requested to have this phone replaced with their newest version of the Zen fone 3 because my research also indicated that screen problem is a recurring problem for many ZenFone 2 owners who had to send their phones for repair on several occasions for the same screen issue. The customer service rep calmly lied to me by telling me that the Zen Fone 3 is not out yet as I am seeing it for sale now on Amazon. This $300.00 Zen fone of mine is about to become an expensive paper weight as I cannot use it because it is locked. Once again, I am supposed to receive a call within 24 to 48 hours. ALL OF A SUDDEN, MY LOYALTY FOR THE ASUS BRAND HAS FADED. i want to buy this phone. Plz tell me about its selfie camera and its allover performence . Is there was any hang or lagging issue . Plz any one tell me. Appu, 13 Sep 2016How much it cost for a zenfone max 2016? Which faste charger is better for this? 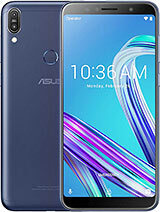 Deos it... moreI'm using asus max 3gb 2016 there is no problem,i am using 3g net for more than 18 hours ....no heat problem,no performance issue,camera is very sharp....touch is soo smooth. 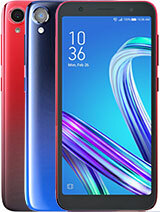 After read many opinion, i buy this phone. After that i not upgrade the android version, also all factory software. And it is already 3 month. I turn off auto update. With hdr mode, 5k battery, auto start software,this is the best phone i ever have. Battery last for more then 2 days with heavy use.. ty for all your opinion..
Biman Jana, 11 Sep 2016I am also having same problem.I have bought asus ZenFone max but after using this phone more t... morepl update the apps which not work properly. one time updation of all apps will be required for proper working. As a selfie maniac, I've never experienced self photography like i have on the zenfone 3. extremely natural skin tone reproduction, crisp focus and when it comes to the rear camera, the 4K video recording feature is epicness.